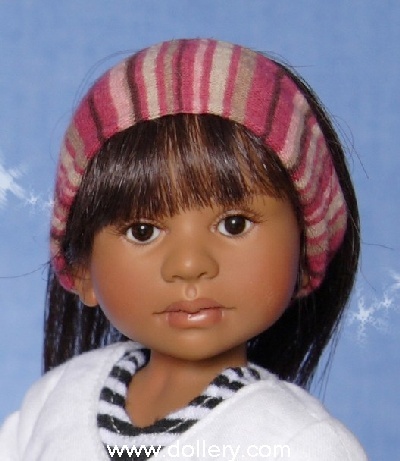 Email kmalone@dollery.com or call 781-447-6677 to place orders. 25% down to confirm your order, balance due when in or you can do extended layaway! 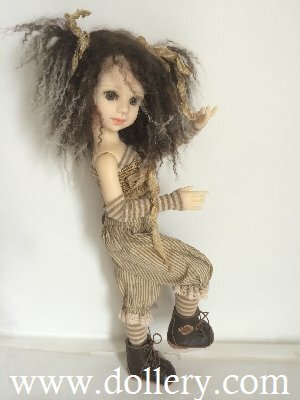 Mini Me BJDs! We sold these 2 but inquire about others that may be available. 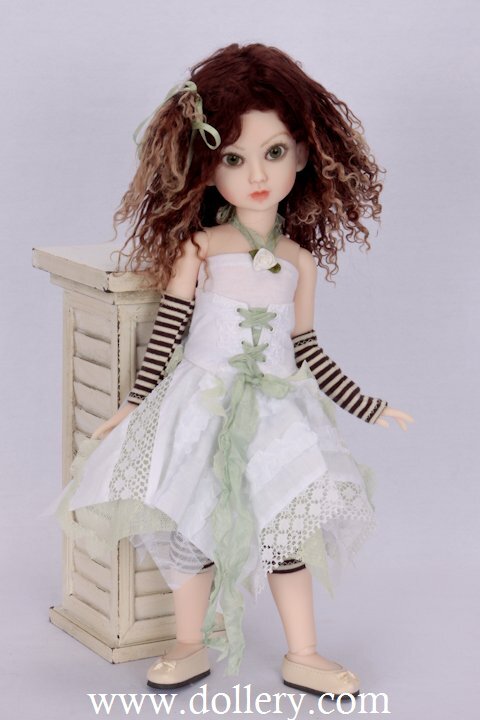 Notice how Berdine's dolls hold their pose and don't spring back like some BJD's! 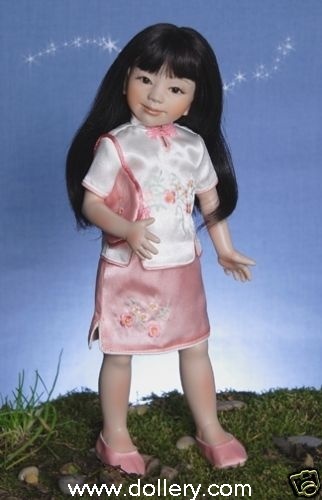 22", all dressed in antique silks, dresses and fabric will vary slightly. 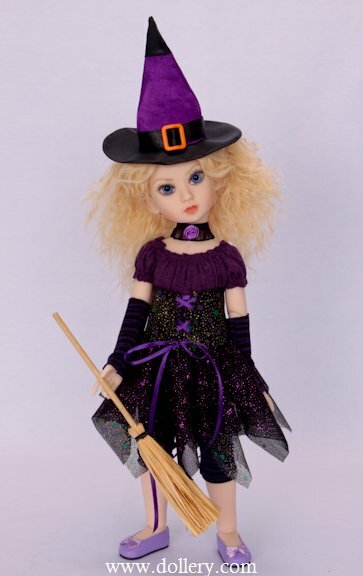 Mary Gold, as witches, 22" (56cm) - Each witch will vary but we are taking custom orders for "Mary Gold" dressed as either a witch or similar to the Mary Gold in the vintage outfit - gorgeous. 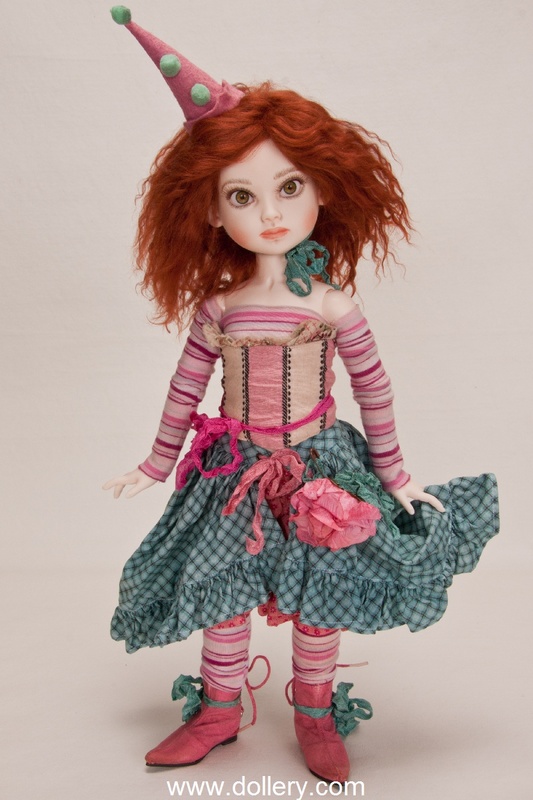 Each ooak costuming will vary slightly and prices vary so email kmalone@dollery.com now for further details. A deposit of 1/3rd down reserves the doll, balance due when in. 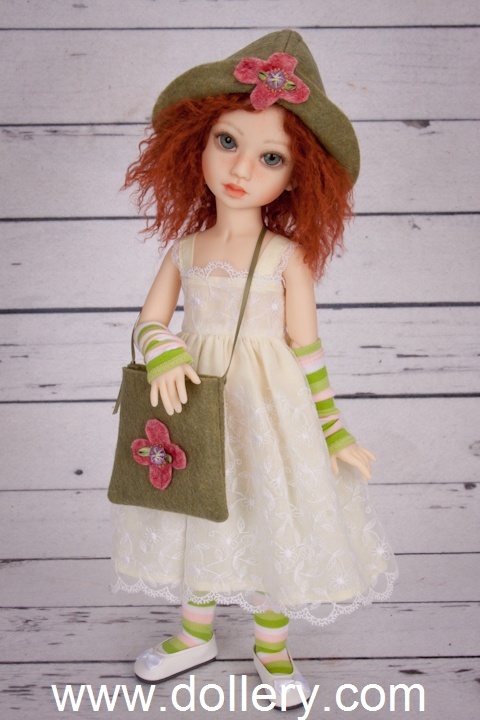 This is a new size doll for Berdine! 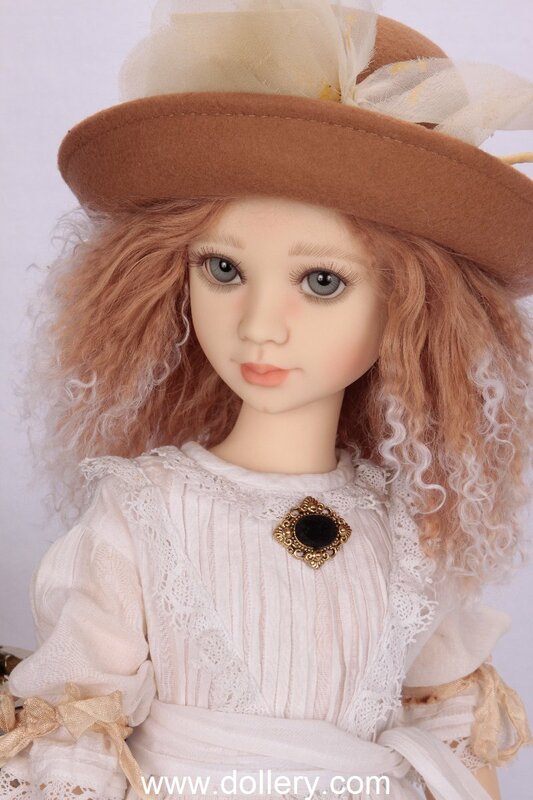 Mary Gold, vintage outfit, 22" (56cm) - This particular doll is SOLD; HOWEVER, we are taking custom orders for other "Mary Gold" dolls in ooak outfits similar to this. Contact kmalone@dollery.com for further information. 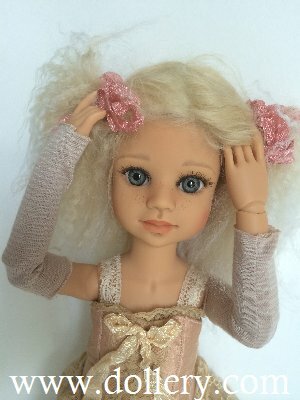 with blond Tibetan Mohair (hides the pointed ears) - These were NOT featured in the preview! So cute - each witch will vary slightly. Contact kmalone@dollery.com on custom orders. This hair style shows off her pointed ears. 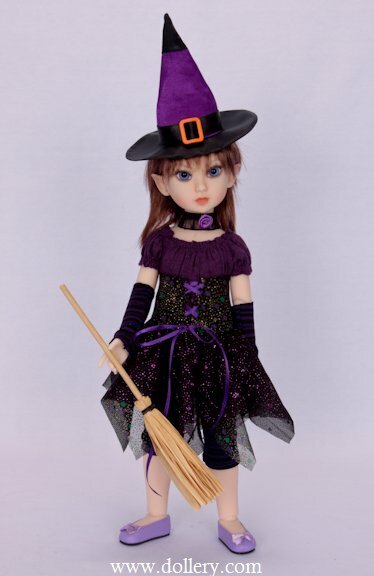 This again is a sample of Primrose dressed in the "witch" outfit - each vary slightly. This exact one below is sold but similar outfits my be ordered. 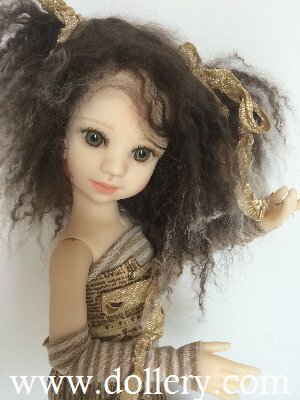 VENUS - Each ooak dressed "Venus" can be custom ordered - SOLD - there are a few left to be ordered- contact kmalone@dollery.com for details on custom orders similar. Another option of dress for "Venus"
Another option of dress for "Venus" - SOLD, but others can be ordered. Very limited number left to take orders. New 22" Mary-Gold. Here she is dressed as a Witch. Each will be slightly different but similar. Other clothing styles available! 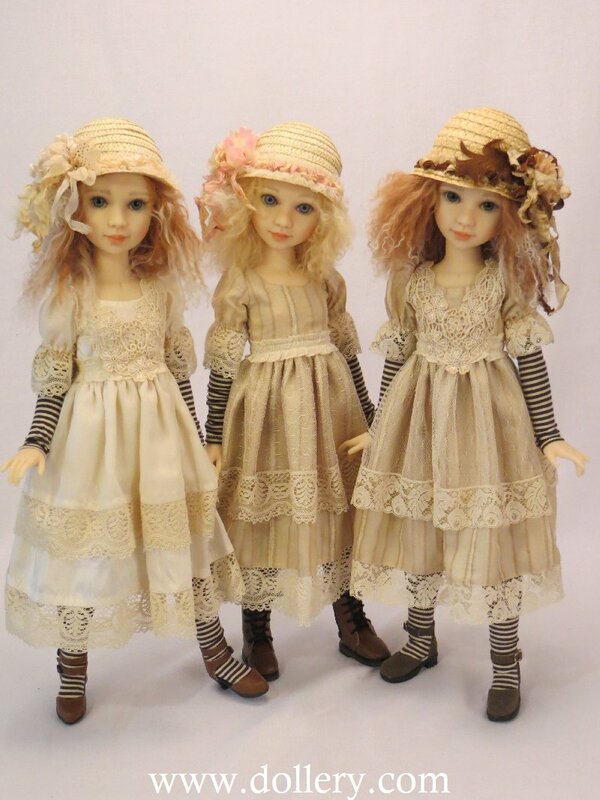 Fully jointed 17" resin BJD dolls. Ours will each have a one of a kind outfit. 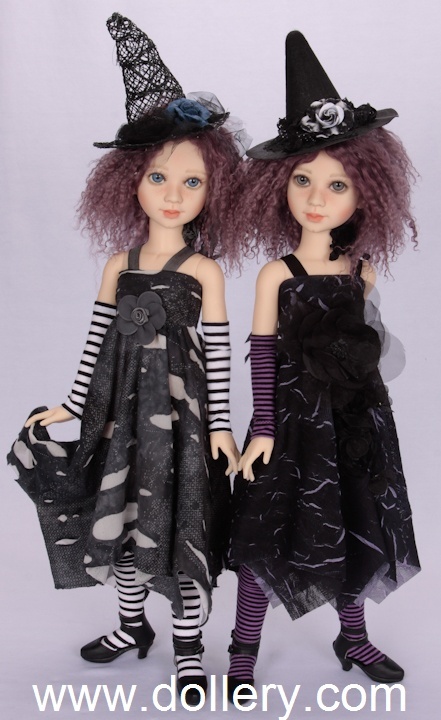 (they will not be the outfits shown below) There will only be 50-75 of these Venus dolls made. Should be available for delivery sometime in June. Call or email kmalone@dollery.com for pricing information. This one in purple is sold. Comes with little Teddy bear too! Email Kim at kmalone@dollery.com to order similar looks. Contact kmalone@dollery.com These went fast! 17" (43cm), Glass eyes. 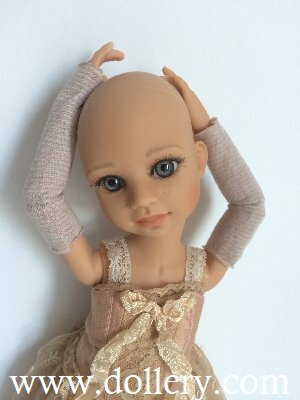 $950 - SOLD - Love her? Contact kmalone@dollery.com on custom orders. 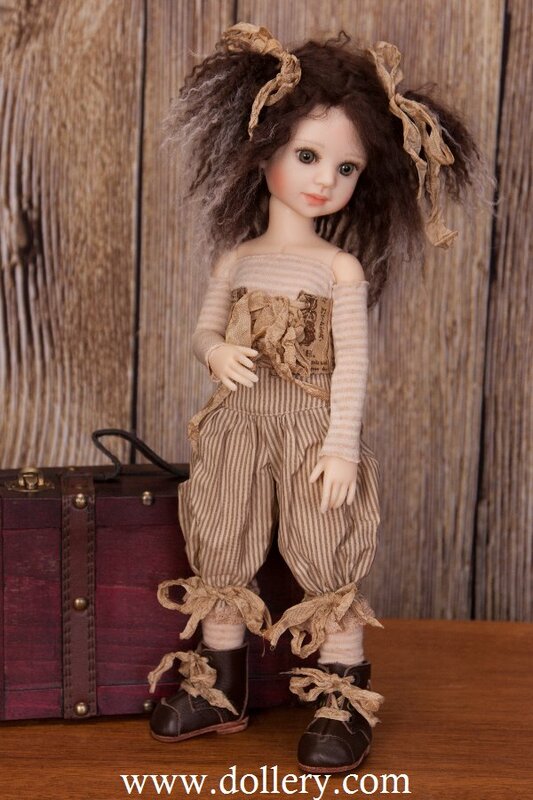 Dollery Exclusive!25th Anniversary "The Little Collector"
LE/100, Vinyl, 10 inches, Brown hair and Brown eyes. 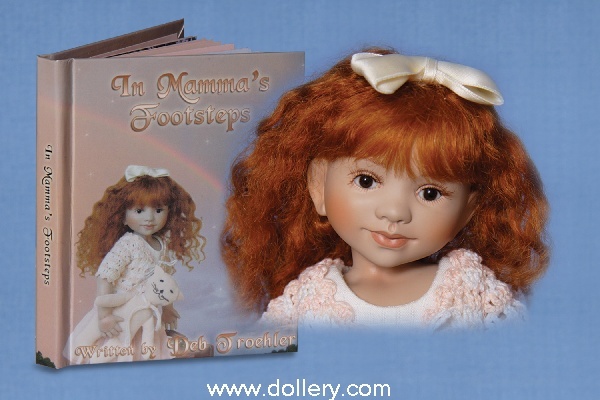 Berdine Creedy with Marinda at our 20th Anniversary 2002 Doll Show! Ltd to 250/Head to 750. 27 1/2 inches. Vinyl. 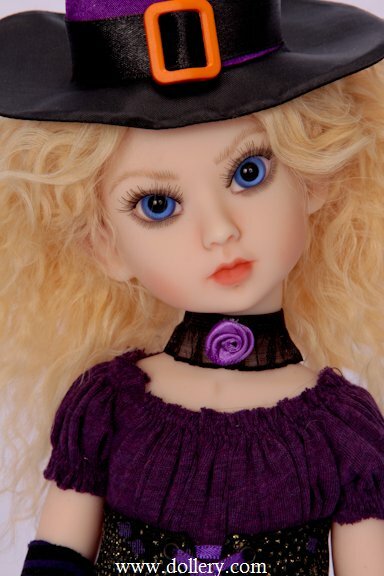 Pretty blue mouth blown glass eyes, blond real hair wig, two tone rose Dupioni silk dress. Batiste lace Undergarments, cotton socks, leather shoes. With teddy. $940.00 - IN STOCK NOW! 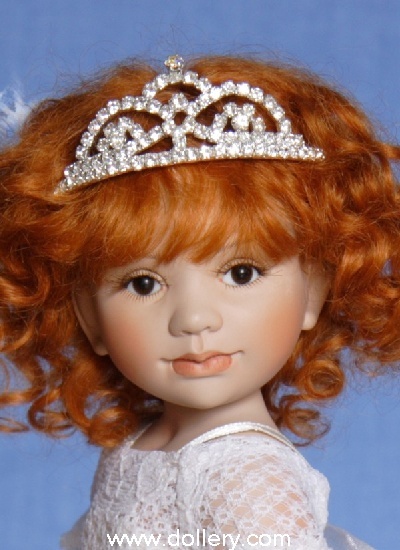 Email kmalone@dollery.com or call 781-447-6677 ext 15 in Ma or 800-447-3655 ext 15 out of state. 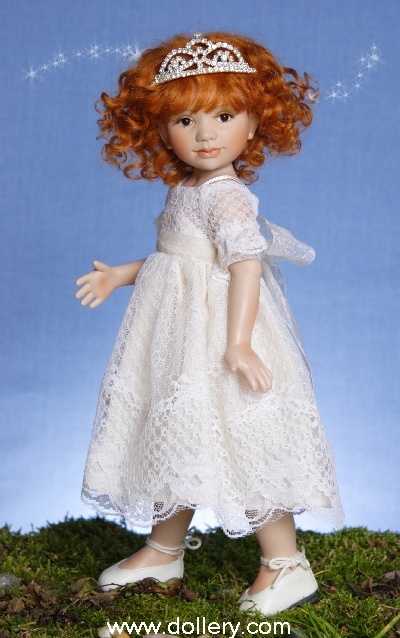 Hestia-Creedy - Dollery favorite for 2002! Ltd to 250/750 of head. 27 1/2 inches. Vinyl. 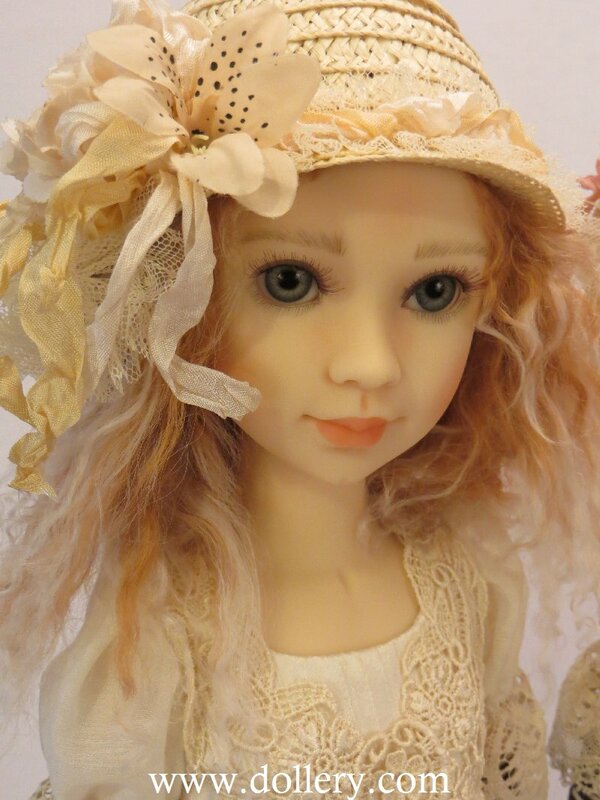 Grey-blue mouth blown glass eyes, blond real hair wig, rose Dupioni silk dress. batiste lace undergarments, cotton socks and leather shoes. Pearl necklace. With flowers. Ltd to 250/ Head to 750. 27 1/2 inches. Vinyl with cloth. 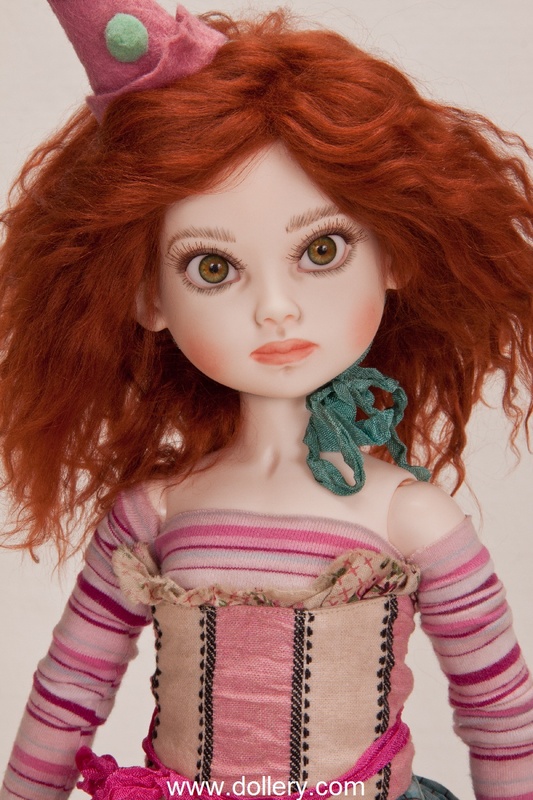 Grey-greenmouth blown glass eyes, reddish real hair wig, olive green Dupioni silk dress with pearl embroidered insert. Batiste lace undergarment, cotton socks, leather shoes, pearl necklace. With teddy.